Eating the right kind of snack before you exercise can make or break your session. The wrong foods may not deliver usable energy or may distress your stomach and ruin your workout. Many vegetarian foods offer all the qualities of a good pre-workout snack. For cardiovascular workouts, such as running or aerobics, choose snacks that digest slowly and that are high in carbohydrates to provide you with energy to burn. For strength-training workouts, a snack higher in protein will provide working muscles with the amino acids they need to start the rebuilding process. Stick to just about 200 calories if you consume your vegetarian snack 30 minutes to an hour before your workout. Higher-calorie meals take longer to digest. Remember to hydrate before you exercise as well – water is ideal for most exercisers. Dates are high in glucose, a natural sugar that the body quickly converts to glycogen—the primary fuel for your muscles. Adequate glycogen supplies help you sustain exercise for longer periods. Consume just two medjool dates, the largest variety, about 30 minutes before you begin your workout. Before your next strength-training routine, whip up a protein smoothie consisting of fresh berries, soy milk and a serving of soy or hemp protein. The berries provide quick energy and the protein powder and soy milk offer protein to support your muscles. A smoothie may also be appropriate before a cardio workout, especially if you tend to find solid food interferes with your performance. Bananas are a source of potassium, which helps keep your fluid and mineral balance in check – especially when exercising. 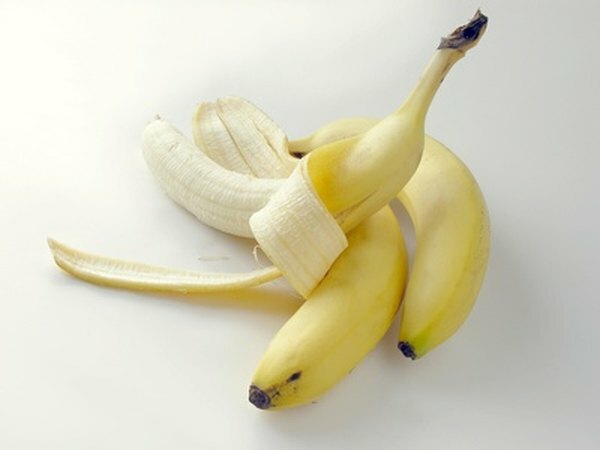 Bananas are easily digested and provide carbohydrates for energy. Potatoes digest quickly and offer a quick dose of carbohydrates. They contain just trace amounts of fat and 1 gram of fiber per half-cup of the flesh. Too much fat and before a workout can cause cramping and diarrhea in sensitive people. Top a baked potato with soy yogurt for flavor. Stick to white versions pre-workout. Sweet potatoes are higher in fiber and may upset your stomach.